Hey y'all! For the past few weeks, I've been introducing you to our amazing team members, and I've loved getting to know them more, just as I'm sure y'all have! (You can read all about Lea here and Cindy here.) This week, I get to introduce you to Victoria Hudson! Victoria is a Senior Planner at The Barn. She has been married to her high school sweetheart, Nathan, for three years. She's originally from Harrison, Arkansas, and she's a graduate of Arkansas Tech University, where she received a Bachelor of Science in Hospitality with an emphasis in Event Planning and a minor in Business. She is super organized and insanely talented, and we love her to pieces! Victoria has been working at The Barn since the fall of 2012, when she stared as an intern. "I met Lesleigh my sophomore year of college at a meet and greet for local vendors while The Barn was still being built, and I fell in love with the idea of weddings," she said. "So I jumped on board and haven't looked back!" After her semester as an intern, she was hired as a planner. "It has been so incredible," she said. "Each couple that I am able to work with is so unique, and it's so wonderful getting to be a part of their special day." Victoria's favorite thing about her job is "seeing the couples' reaction to every detail of their special day," she said. "Details are what make any ordinary event something magical!" Each of our planners put a crazy amount of work into each wedding, and their daily tasks are all over the place! They plan and coordinate (obviously! ), they decorate, they do a ton of paperwork and make phone calls and do all the behind-the-scenes stuff that isn't always fun, but is totally necessary for pulling off a masterpiece wedding. It isn't all glamorous work, but week after week, their hard work is what makes every wedding unforgettable, stunning, and each couple's dream. Part of Victoria's job is "communicating with the bride about every detail of her special day," she said. "We discuss style of the wedding, all table design, all ceremony decor and every part of her wedding that makes it special and unique. I create all paperwork that is used at consults and on the day of the wedding. 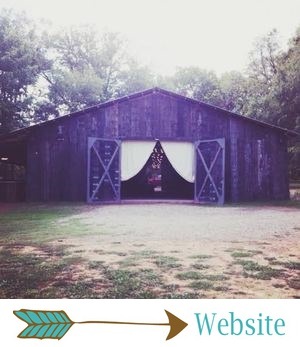 I communicate with all vendors (caterers, florist, musicians, videographer, photographers and if needed, hair and makeup) that are a part of the wedding to make sure that everyone follows the timeline that I have created and that everything is done in proper time. And yes I follow that timeline to a 'T.' It's how you make a wedding look effortless. That AND being a part of the BATOR team that all plays their roles to make every event perfect." Victoria was mine and Richard's wedding planner three years ago, so I can personally attest to the fact that she is a WONDERFUL person to work with... She's fun and professional, she put as at ease during the planning process, and she made our wedding truly stress-free for us! I LOVED that she gave us a very precise timeline that had every. single. little part of our wedding day listed and planned out. It made our wedding day flow perfectly. Our day was truly flawless because of Victoria! Brides, if you're lucky enough to work with this lady, be prepared to have fun planning your big day! It will go absolutely flawlessly, and every detail will be perfect!